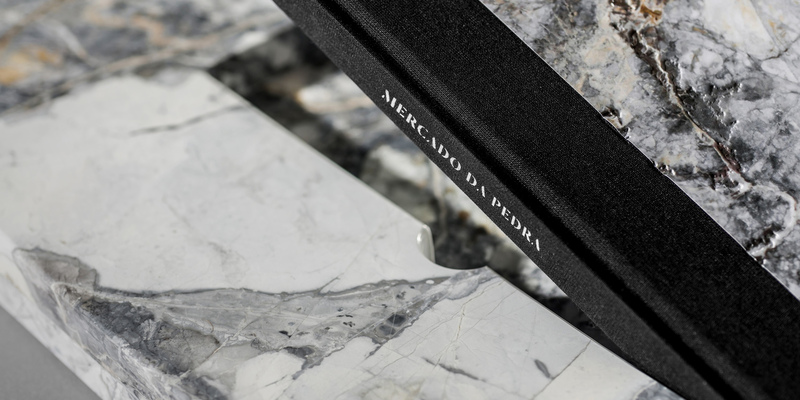 The concept developed for the communication pieces of Mercado da Pedra, is based on the use of textures and chromatic palette of real stones. To visually represent the concept we created a cover frame that is a natural extension of the stone on the cover. It shows how the essence of the concept is applied in a consistent and faithful way to the raw material.